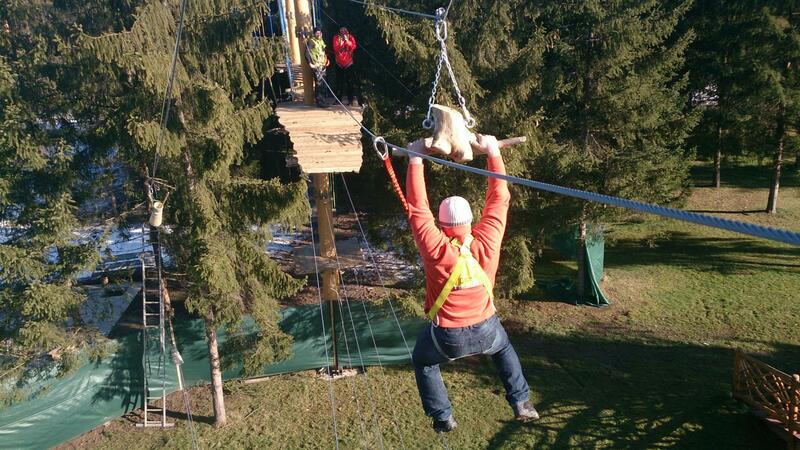 If you are bored with typical rope parks, you are welcome to visit Podhale, Szaflary where we have constructed a highlander rope park within the area of thermal baths Gorący Potok. Shapeless platforms, descent on the root, walking on a mountaineer moccasin, stylish sleigh and ladder carriage are only some of the specially designed obstacles. We will meet every challenge!! !